However, the way Facebook takes and potentially uses user information in its advertising isn’t new. 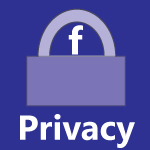 Facebook simply explained their rules more clearly than before, and the bluntness of their explanation has shocked many who weren’t aware of the full extent of Facebook’s control over publicly available user information. You can opt out of your information appearing in social ads, though you can’t opt out of your name being attached to Sponsored Stories in your friends’ news feeds. The only way to avoid that is to not like or share any content from a brand page. Your name and picture will not appear next to ads to strangers. Only your Facebook friends can see that info. Users won’t be compensated for allowing their image to be co-opted by advertisers.